Oxford Civic Society does not want to de-rail OLP36. Our analysis and comments are intended to be constructive. When we suggest there are aspects of the Plan which could mean it is judged unsound we hope the Council will be able either to make changes or to present its own counter-arguments to support its case. A great deal of joint development planning is being done by the city, the surrounding districts and the county. This is taking shape as the Oxfordshire 2050 Plan (‘Oxon2050’, originally called the Joint Statutory Spatial Plan or JSSP). The City must submit OLP36 by 1 April 2019 for it to be adopted in the autumn; the surrounding District Councils must do the same. Oxon2050 will not be submitted until March 2020, and not adopted until 2021. All these authorities accept that Oxford cannot plan how it develops over the next 20 years in isolation. The city depends on its city-region, and vice versa. Poor synchronisation of OLP36 and Oxon2050 means that OLP36 will have been adopted before its strategic context has been set. This may lead the Inspector to consider the Plan unsound. 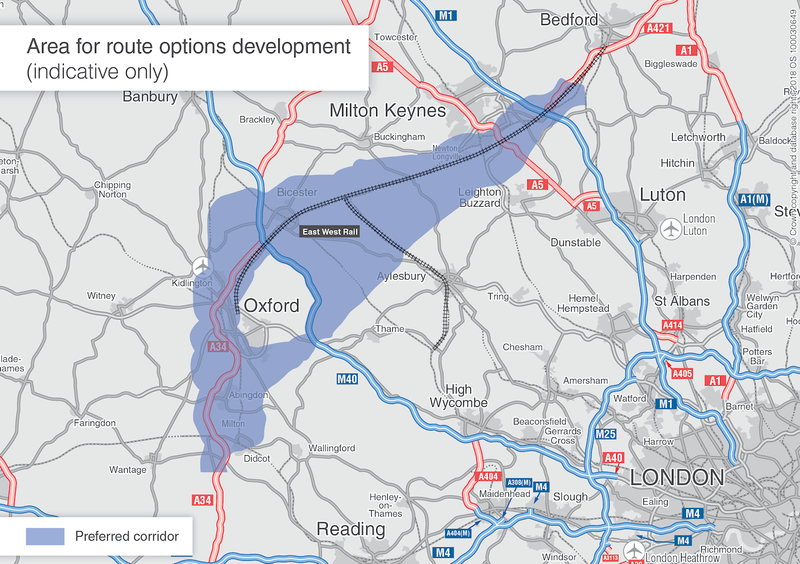 Another possibility of what we may call ‘strategic unsoundness’ concerns the Oxford – Milton Keynes – Cambridge (Ox-MK-Cam) corridor. This was first proposed by the National Infrastructure Commission and identifies a need for an extra 1 million new homes along the corridor to be built by 2050. The plans for housing in OLP36 contribute to meeting this target but we cannot see how the Plan can allow for the impact of the corridor, including the proposed expressway. The expressway itself has not been adequately justified and does not yet have a defined route or details of its precise function. Public consultation on route options is not until autumn 2019, with a preferred route to be announced in 2020. This lack of synchronisation is especially important as we understand that Planning Inspectors have not accepted two neighbouring Local Plans (Aylesbury Vale and Vale of White Horse district councils) at least partially on the basis that they do not take account of the Ox-MK-Cam corridor and expressway in their housing forecasts. We give more detailed arguments on these strategic issues in our full report. b) A study on a “City centre movement and public realm” strategy. We are very disappointed that these studies have not made a significant contribution to OLP36. In the case of (a) the results of the demand management studies have not appeared. For (b), the study results were contentious, and anyway could only be implemented together with the demand management policies which are not yet agreed. Our main report argues in more detail that leaving out the findings from these important studies weakens the proposed Local Plan. We regret that the city centre is not addressed as a specific policy or geographic area, although some policies associated with city centre development are scattered throughout OLP36. We recommended last year that a city centre development strategy should be explicitly presented in the Plan. 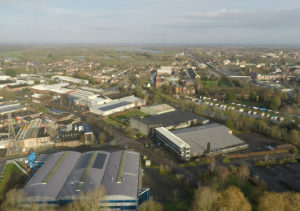 We recommended that this strategy should include the West End Area development sites (Osney Mead Industrial Estate, Oxpens, the ‘Island site’, Frideswide Square, the station redevelopment and the Westgate linked to the Castle site). We still hope that an integrated and sustainable plan based on a feasible transport strategy can be prepared for developing the city centre and West End Area. There is a very strong emphasis on employment, particularly in research and technology, etc. But OPL36 ignores Oxford’s effectively full employment. Many of Oxford’s existing jobs and most of the new ones will be filled by commuters. There is a great deal about reducing pollution and sustainable travel, but people filling the new jobs are likely to have to travel from well outside the City. This will transfer congestion and pollution to areas outside the city and do little to alleviate these problems within the City. This leaves the OLP36 vulnerable to being considered unsound as it is not positively prepared and consistent with achieving sustainable development. We have drawn attention to an apparent case of double-counting in the projected housing figures. See para. 21 in our full report for details. We suggest that excluding student housing owned and run by educational institutions from the controls on HMOs, and only a weak “continue to monitor” policy on AirBnB-type properties, weakens the Plan and could lead to it being judged not positively prepared nor consistent with achieving sustainable development. Please see the full report for details on these and all the topics mentioned here.